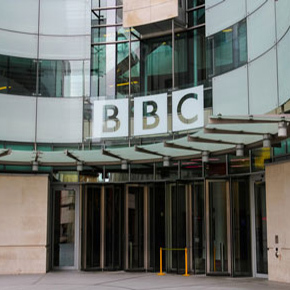 Ofcom has today published detailed proposals on how it will regulate the BBC’s performance under its new Royal Charter, which outlines how the BBC should deliver for its audiences. Ofcom becomes the first independent, external regulator of the BBC on 3 April. Our role is to hold the Corporation to account against the delivery of its public purposes, while its new unitary board will govern and run the BBC. We will carefully monitor the BBC, through annual performance reviews, a ‘health check’ halfway through the new 11-year Charter, and scrutiny of the BBC’s forthcoming annual plan on how it will fulfil its requirements. The new Charter sets clear objectives for the BBC to serve audiences, and puts a sharpened focus on distinctive, creative and high quality programmes. Our draft ‘operating licence’, published today, sets out clear requirements for the BBC that are achievable and affordable within existing licence fee funding, and which will uphold the quality of the BBC’s programmes. We expect the licence requirements to evolve over time, to reflect the BBC’s commitments and the changing needs and tastes of its audience. To put viewers and listeners at the heart of our regulation, we have carried out in-depth research to gauge what people want and expect from the BBC’s programmes and services. We expect the BBC to focus on the things audiences have told us they value most. These include news, children's programmes, and programmes made specifically for UK audiences which reflect the full diversity of the UK. In some cases, where the BBC has exceeded its previous targets, Ofcom plans to raise these requirements closer to the BBC’s current performance – providing safeguards to ensure the BBC’s performance does not fall below what’s acceptable in future. Programmes made for UK audiences: The BBC’s spending on brand new UK commissioned programmes fell by 30% in real terms between 2004 and 2015. We are therefore proposing quotas for first-run UK-originated programmes to be shown on BBC One, BBC Two, CBeebies and CBBC. Under our plans, three-quarters of all programme hours on the BBC’s most popular TV channels should be original productions, commissioned for UK audiences. During ‘peak’ viewing time – from 6pm to 10.30pm – at least 90% of programmes on BBC Two should be original, matching the current requirement for BBC One. News and current affairs: We plan to increase the previous requirements for news and current affairs – including for BBC One and BBC Two – where they have been exceeded, to safeguard this important genre. During peak listening periods, Radio 2 would be required, for the first time, to air at least three hours of news and current affairs per week, and Radio 1 to broadcast an extended news bulletin in peak-time listening each weekday. Neither station currently has these obligations during peak listening hours. Music: The BBC plays a unique role in showcasing musical talent and genres to people across the country. Our rules would mean that a significant proportion of the new music played by Radio 1 and Radio 2 would be from new and emerging UK artists. Radio 3 should continue to play a central role in supporting the UK’s classical music scene, commissioning at least 25 new musical works each year, and developing relationships with non-BBC UK orchestras, opera companies and festivals. Arts and learning: Our plans would give BBC One and BBC Two tougher requirements for showing arts, music and religious programmes, including new requirements to show some of these during peak viewing times. Children: New rules would require CBBC to show at least 400 hours – and CBeebies at least 100 hours – of brand-new UK commissioned programming each year. CBeebies would have to provide content in a number of genres that support pre-school children’s learning. Sport: The BBC should provide distinctive sports coverage for fans in all the UK’s nations. Ofcom’s research found that people want the BBC to cover a wide range of sports. So we will require Radio 5 Live to provide live commentary, news and programmes covering at least 20 sports, to help support those that are not getting the attention they deserve. Reflecting the whole UK: Ofcom wants all parts of the UK to be reflected, and invested in, by the BBC. So we are introducing minimum quotas for each UK nation. This means the BBC must spend the same on programmes, per head, in England, Northern Ireland, Scotland and Wales, and ensures that at least half of all programmes shown nationally and produced in the UK are made outside London. Also, we will soon review our guidance on programmes made outside London, to ensure these productions make a genuine contribution to the creative economies of the UK’s nations and regions, which could include greater programme making or investment in these areas. There would be a new Diversity Code of Practice to set how the BBC will commission programmes that authentically portray the whole UK population. And the BBC will have to report annually on how it has reflected, represented and served the diverse communities of the whole UK – focusing on age, gender, disability and race, among other characteristics. Kevin Bakhurst, Ofcom’s Content and Media Policy Director, said: “The BBC is the cornerstone of UK broadcasting. It should deliver quality content for its whole audience, with programmes that reflect the UK’s rich culture and showcase all its talents. To hold the BBC’s programmes to the highest standards, Ofcom has today published updates to the Broadcasting Code – the rulebook for UK broadcasters which sets standards for the content of programmes. Today’s changes will mean that, for the first time, the Code applies in full to BBC broadcasting services and the iPlayer. Today’s consultation closes on 17 July. We will consider everybody’s feedback before publishing a final framework and operating licence by the autumn. We expect the BBC to take account of our draft operating licence and reflect it in its own creative plan.